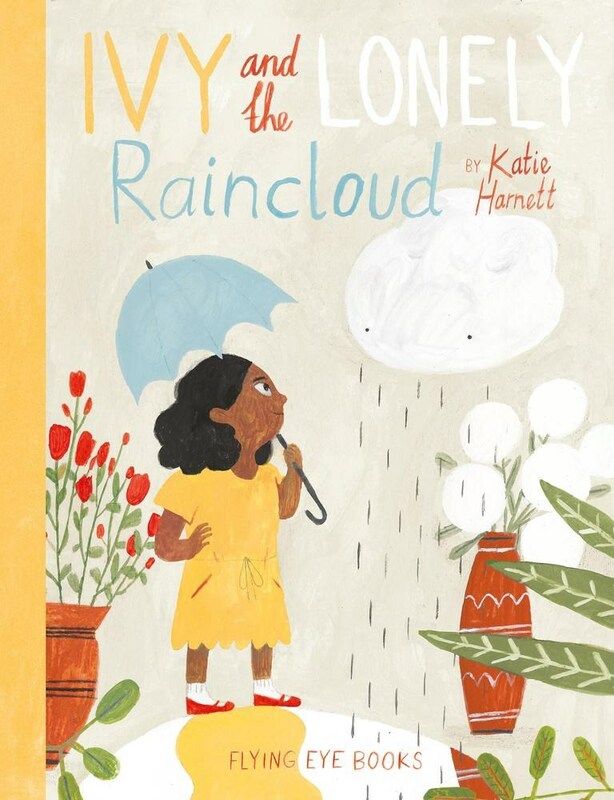 This month's #kidlitpicks theme is "flowers," so the moment I saw Ivy and the Lonely Raincloud, I knew it was going to be the perfect book to showcase. 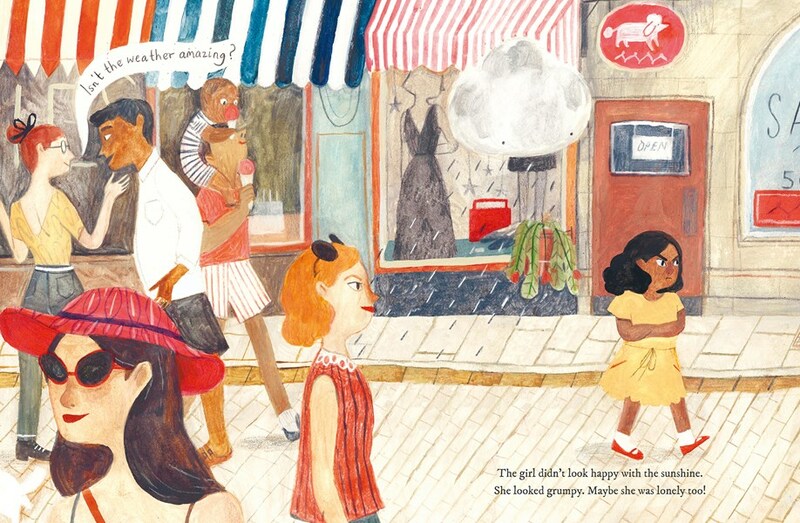 It's no big secret how much I love Katie Harnett's work (seriously, just do a search for her name in the search bar -->), and the follow-up to her 2016 debut Archie Snufflekins Oliver Valentine Cupcake Tiberius Cat does not disappoint. Ivy and the Lonely Raincloud is told from the titular raincloud's point of view. While everyone around him loves the warm sunshine, the lonely raincloud wanders the streets of the city, friendless and directionless. But when he spots a grumpy florist one day, he discovers a kindred spirit in her and sets out to earn her friendship. It's sweet to see the two come together and fill a gap in each other's lives, proving that there's someone for everyone and sometimes what we think is a setback is actually an asset for someone else. The illustrations are watercolor, gouache, and acrylic with colored pencils, so there's a delicate balance between definition and looseness within each image. And I'd never thought I'd utter a sentence like this, but if there's one person who knows eyebrows it's Katie Harnett (remember Archie's eyebrows?? So cute!). Again, we're reading this book from the raincloud's point of view, so the girl's body language is the only way for readers to interpret her emotions. Her eyebrows, shrugged shoulders, and crossed arms help us see what the raincloud sees, that she's in a bad mood and possibly in need of a friend. 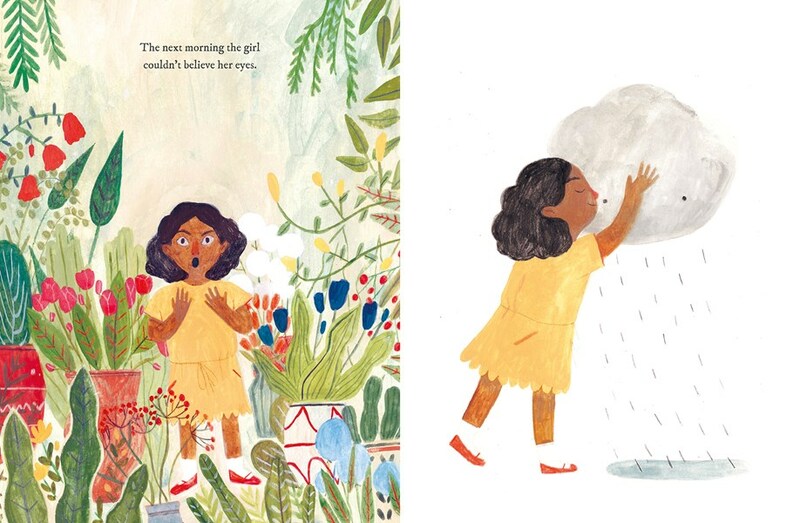 Ivy and the Lonely Raincloud publishes from Flying Eye Books this August!